This entry was posted on Friday, April 27th, 2012 at 4:09 pm and is filed under geography. You can follow any responses to this entry through the RSS 2.0 feed. You can leave a response, or trackback from your own site. Pardon the dilletante-ish nature of the Q, but for anyone who knows.. If Khumbu icefall is so dangerous, why do people elect to go through it rather than skirting it by either climbing up the S side of the W ridge, or the N side of the Lhotse/Nuptse ridge? Would bypassing Khumbu be even more dangerous for some reason? Or is the immediate danger of Khumbu (most of which may(?) be borne by the route setters) being traded off for time/convenience/energy (which come to think of it might pose dangers of its own, and not just to route setters)? Sure! It was a dilletante-ish post. It’s not like I’m a mountain climber or something. 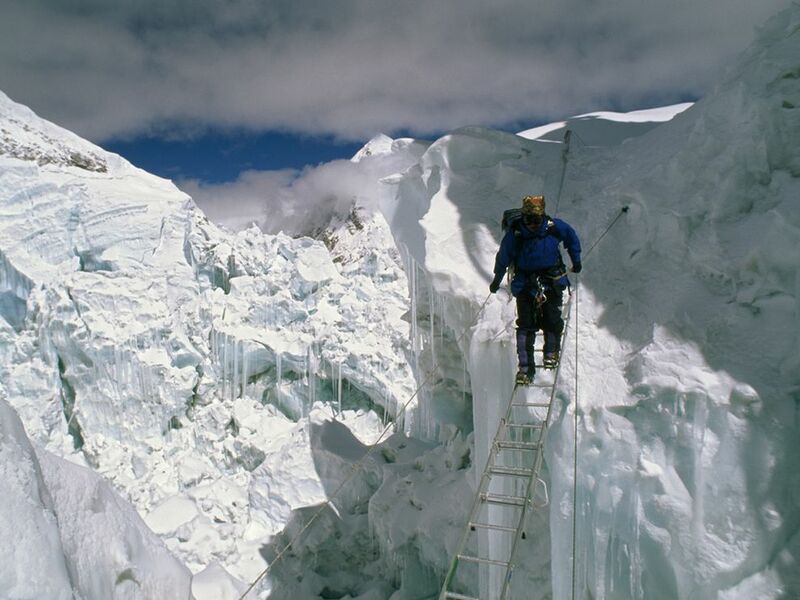 I can only guess that the Khumbu Icefall is the least bad of alternative ways to get up from the southeast. Here’s a nice comparison of the two main routes. Thanks, this *was* very interesting. It also starts to quantify the icefall danger, and it also suggests a partial answer to my Q (people may elect not to bypass Khumbu *on the left* because of the avalanche risk). It is harder to get a permit from the Chinese. The mountain is made of limestone, and the strata are slanted so that they rise from south to north. This means that the cliffs on the north side are more daunting. Reinhold Messner climbed the north side solo during the monsoon, which still seems impossible to me. He bypassed the cliffs by climbing a couloir. Hi! Thanks, that links this post to one of our more serious themes on Azimuth – global warming! Are you a ‘Microsoft Faculty’ member? Tour the southern approach to Mount Everest in this 2-gigapixel image created by David Brashears. 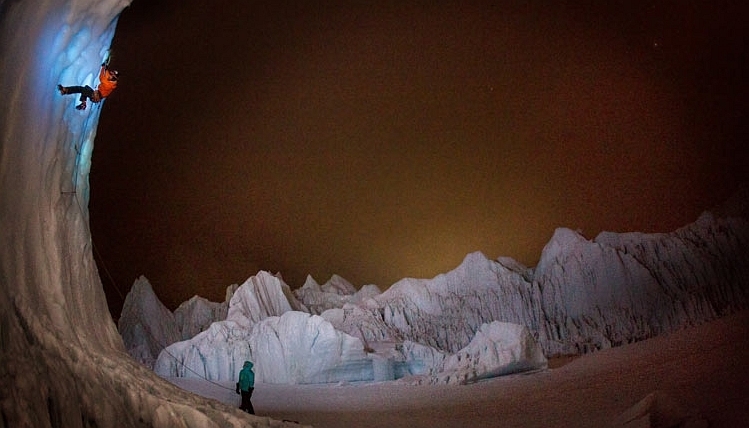 • Avalanche sweeps 12 Sherpas off Mt. 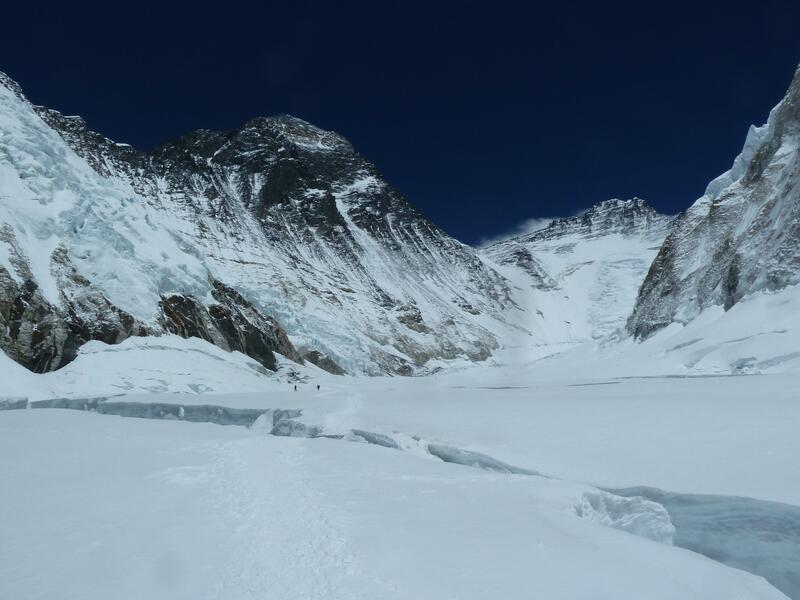 Everest, Weekend Edition, National Public Radio,19 April 2014. 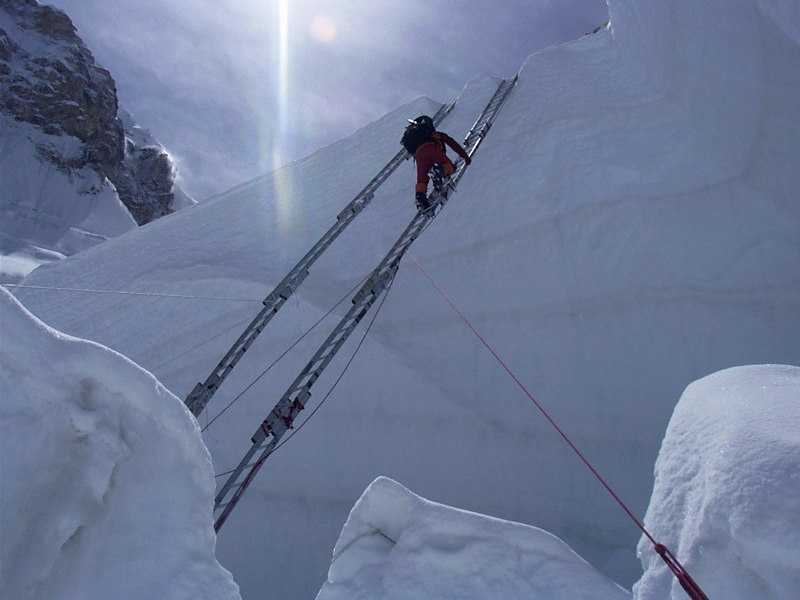 The climbers were on the south side, which is the route that originates in Nepal and goes up the Khumbu Glacier to the South Pole then on to the summit. They key point on this is climbing up through the Khumbu Icefall, and this is a stretch of glaciers that tumbles over a drop. And it’s sort of like a river rapids, if you can imagine, but ice. And so there’s blocks, and there’s a lot of objective hazards. And it’s the most dangerous part on the route as you go towards the summit. And in this case, we had Sherpas that were carrying loads through the icefall. 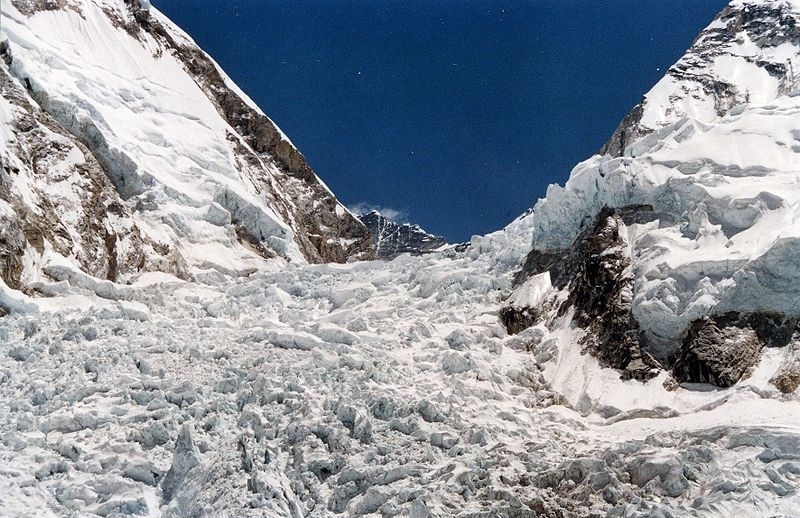 And one of the hanging glaciers to the east of the climbing route, hanging off the west shoulder of Everest released, and then that avalanche of ice blocks is what took the lives of the Sherpas. As a kiwi, Mt Everest has always featured in my conscience, I have been doing some research, trying to understand the dangers at the Khumbu icefall. I found the videos in this very helpful. Who do I contact about licensing the Everest Route map for a kids’ book? Not me! Click on it to see where it came from. Sorry, thought I was commenting on something else in the web site. Is there a way to contact whoever created this web site? This blog here, which you are posting comments to, is my blog. If you want to see who created that Everest Route map you saw on my blog, click on it.